SSS is the Sea life based Nazi SS for those of you uneducated in Fish Nazis. The extra S is for sea. Do you get it? You better. This is amazing. My hat is off to you, fine sir. I am infact logged in. Oops. Haha this actually made me legit laugh in real life. lol where did u get this idea from? I thought of it when I was sitting around before school. 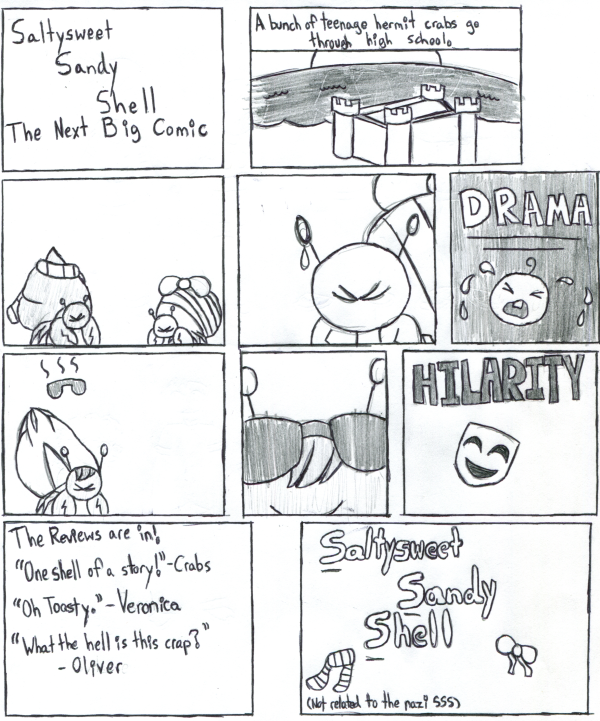 I was thinking about the hermit crab my Anatomy Teacher keeps and then I thought of BCB and was like "Sandy rhymes with Candy"